Pres. John Taylor was born 1 November 1808 in Milnthorpe, Westmorland, England, United Kingdom to James Taylor (1783-1870) and Agnes Taylor (1787-1868) and died 25 July 1887 in Kaysville, Davis County, Utah, United States of unspecified causes. He married Leonora Cannon (1796-1868) 28 January 1933 in Toronto, Ontario, Canada. He married Elizabeth Kaighin (1811-1895) 12 December 1843 in Nauvoo, Hancock County, Illinois, United States. He married Jane Ballantyne (1813-1901) 25 February 1844 in Nauvoo, Hancock County, Illinois, United States. He married Mary Ann Oakley (1826-1911) April 1845 in Nauvoo, Hancock County, Illinois, United States. He married Sophia Whitaker (1825-1887) 23 April 1847 in Council Bluffs, Pottawattamie County, Iowa, United States. He married Harriett Whitaker (1825-1882) 4 December 1847 in Salt Lake City, Salt Lake County, Utah, United States. He married Margaret Young (1837-1919) 27 September 1856 in Westport, Fairfield County, Connecticut, United States. He married Josephine Elizabeth Roueche (1860-1943) 19 December 1886 in Kaysville, Davis County, Utah, United States. Ancestors are from the United Kingdom. John Taylor was an English religious leader who served as the third president and Apostle of The Church of Jesus Christ of Latter-day Saints (LDS Church) from 1880 to 1887. Born in England, he is the only president of the LDS Church to have been born outside of the United States. Taylor was born in Milnthorpe, Westmorland (now part of Cumbria), England, the son of James and Agnes Taylor. He had formal schooling up to age fourteen, and then he served an initial apprenticeship to a cooper and later received training as a woodturner and cabinetmaker. Taylor's parents and siblings emigrated to Upper Canada (present-day Ontario) in 1830. Taylor stayed in England to dispose of the family property and joined his family in Toronto in 1832. Between 1834 and 1836, John and Leonora Taylor participated in a religious study group in Toronto. The group discussed problems and concerns with their Methodist faith, and quickly became known as the "Dissenters." Other members included Joseph Fielding and his sisters Mary and Mercy, who later also became prominent in the Latter Day Saint movement. While in Toronto Taylor continued to work in his trade as a woodturner. John claimed that as a young man, he had a vision of “an angel in the heavens, holding a trumpet to his mouth, sounding a message to the nations" - the angel Moroni. He was christened in the Church of England, but joined the Methodist church at sixteen. He was appointed a lay preacher a year later, and felt a calling to preach in America. In 1833 Toronto, Elder Parley P. Pratt baptized their son John who was a Methodist preacher into the newly formed The Church of Jesus Christ of Latter-day Saints (LDS Church). John in turn baptized his parents on 9 April 1836. Taylor practiced plural marriage and was married to eight wives: He was the father of 34 children. Taylor's son, John W. Taylor, continued to serve in the church and in politics and helped to shepherd Utah to statehood in 1896. 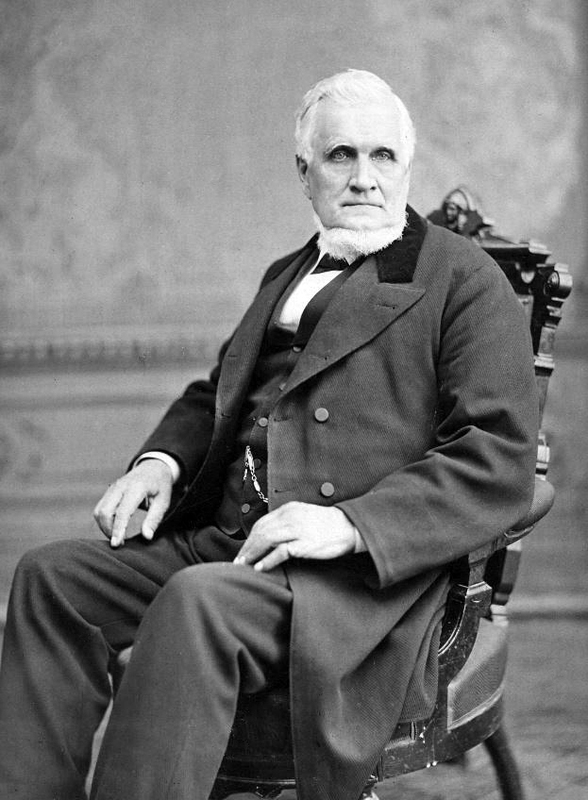 John W. Taylor was ultimately excommunicated from the LDS Church for his opposition to the church's abandonment of plural marriage. His son, Samuel W. Taylor, became a writer, and the biographer of his father and grandfather. Another son, William W. Taylor, served as one of the first presidents of the seventy and also served in the Utah territorial legislature. Taylor's daughter Annie Taylor Hyde was a leader in the Relief Society general presidency and was the founder of Daughters of Utah Pioneers. He met Leonora Cannon (1796-1868) from the Isle of Man while attending a Toronto Methodist Church and, although she initially rejected his proposal, married her on January 28, 1833. Margaret Young (1837-1919) was a member of the inaugural general presidency of what is today the Young Women organization of The Church of Jesus Christ of Latter-day Saints (LDS Church) from 1880 to 1887. Married Josephine Elizabeth Roueche (1860-1943) in 1886 in Utah. No Children. She remarried in 1921 to George W Palmer.